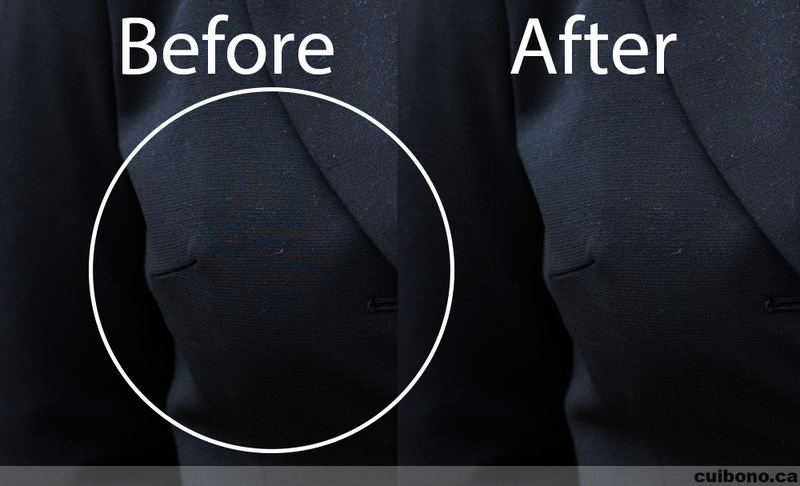 When CS6 and Lightroom 4 were announced, the one feature that I was really looking forward to was the moire brush. It was top of mind since a few weeks ago, I had to process a picture that contained moire and it was very difficult to remove it. I happily bought CS6 and began searching the web and Adobe's knowledge base to find more information about this magical moire brush. 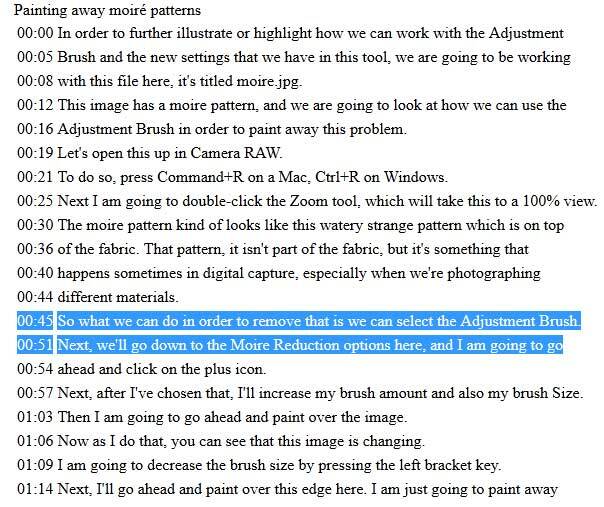 I was able to quickly find some information and tutorials for Lightroom 4's moire brush, but nothing relevant appeared for Photoshop. I persisted and eventually found out that the moire brush was in ACR7 (Adobe Camera Raw) and not in CS6. I continued my search and unfortunately, was unable to locate any relevant information or tutorials. 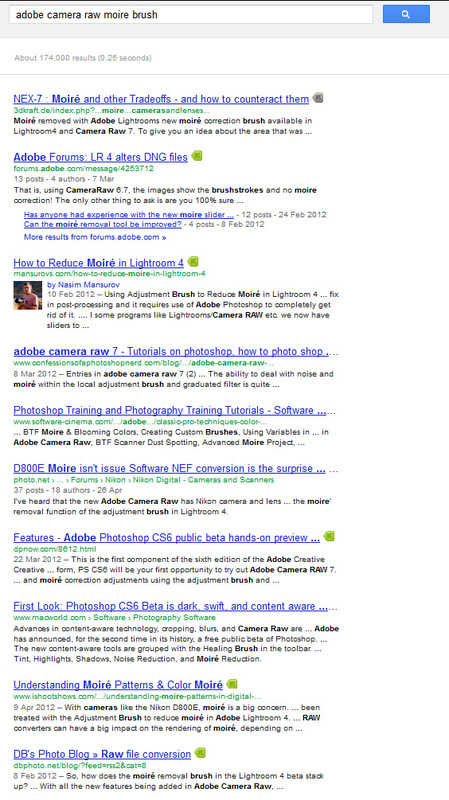 How in the world could Googling "adobe camera raw moire brush" not yield any relevant results? None of the links in the image below helped. I continued searching, periodically altering and tweaking my search terms. Perseverance paid off in the end and I finally found a link to a video that would explain it all to me. The only problem is that I would have to pay to see this video. This of course wasn't going to happen since I don't believe I should have to pay someone to point me in the right direction: all I wanted to know was how to access the tool after all. I returned to the search screen, and as luck would have it, a link to the video's transcript was right in front of me. Jackpot! I opened an image and followed the instruction. The only problem is that when I got the part about selecting the Moire Reduction option, well, it was nowhere to be found! Oh my, did I have the wrong version of CS6 or ACR? No, I did have the right versions. 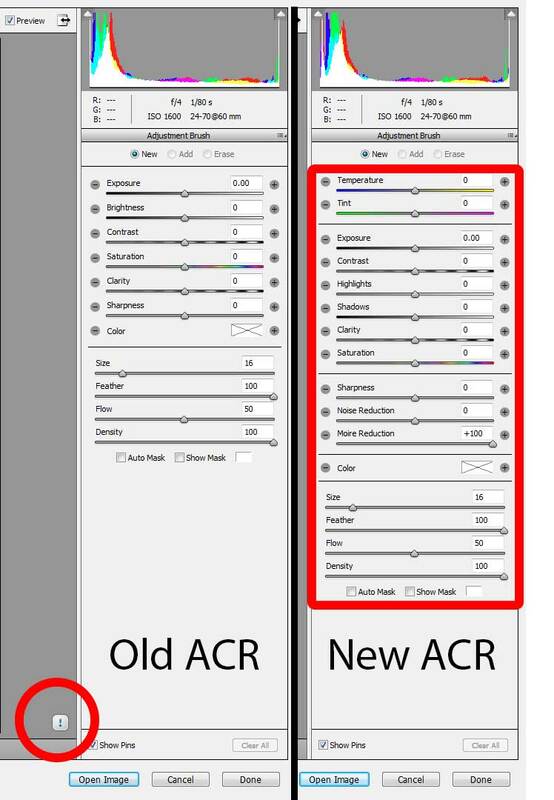 What I hadn't realized was that because I had previously edited my image with an older version of ACR, Adobe added a small button at the bottom right. Clicking it would make the new interface, including the moire brush, appear. Here's the most anticlimactic ending to a blog post: I used the moire brush, and it worked really, really well. A picture is worth a thousand words, so take a look below.